← Today is Diane Dammeyer 2017 Fellow Ervin Johnson’s Panel! Hope to see you there! In this poem, the speaker recounts a conversation he had with the falling raindrops. He asks the rain, “And who art thou?” and strangely, the rain answers, calling itself “the poem of the Earth.” The rain goes on to describe how it rises intangibly (as vapor) out of the land and sea and floats up to heaven, where it changes form and becomes a cloud. Then it falls back to Earth to refresh the drought-filled land, allowing seeds to grow into something vital and beautiful. The speaker the equates the role of the rain to a poet’s role in crafting this “song” (or poem, because Whitman refers to his poems as songs throughout Leaves of Grass). He goes on to write that the “song” is born in the poet’s heart. It leaves the poet’s soul and changes form, but is always the same at its core and eventually returns to the poet as love from his readers. Similar to most of Whitman’s poems, “The Voice of the Rain” does not follow any specific form, rhyme scheme, or meter; it is written in free verse. It is made up of one stanza with nine distinct lines, but some of the lines are so long that they bleed into the next. The first two lines contain the speaker’s question to the rain (“And who art thou?”). The rain’s response makes up the remaining six lines. Whitman places the final line in parenthesis in order to separate the speaker’s words from the rain’s. At the end of the poem, the speaker compares poetry to the rain – equating art with Earth’s most essential element. Here, Whitman reveals the high level of importance he put on his poems (and poetry in general). 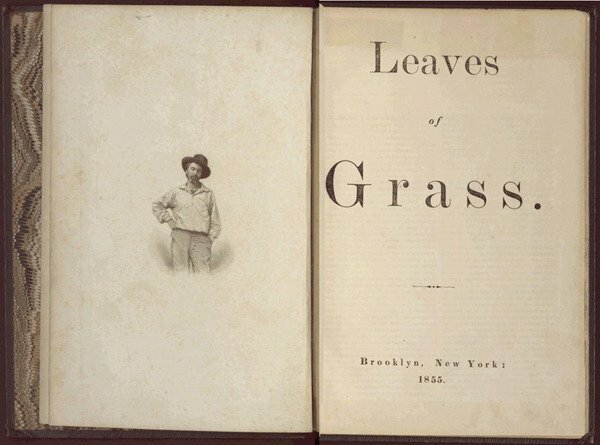 Whitman treated his poems like his children. He put all of his emotional energy into his work and then released his poems into the world like water evaporating into the air. Each reader then has a different relationship with Whitman’s words, which changes the effect of the poem while maintaining its spirit. Then, the readers rain praise, criticism, love, and hate back down onto Whitman. After that, the poem occupies a different role in the poet’s life. Whitman’s comparison between poems and rain is demonstrative of his transcendental beliefs. Rather than associate his poetry with something modern and manmade, he instead chooses to associate it with the eternal cycles of the natural world. He wanted his work to be affecting, vital, and eternal – like nature.